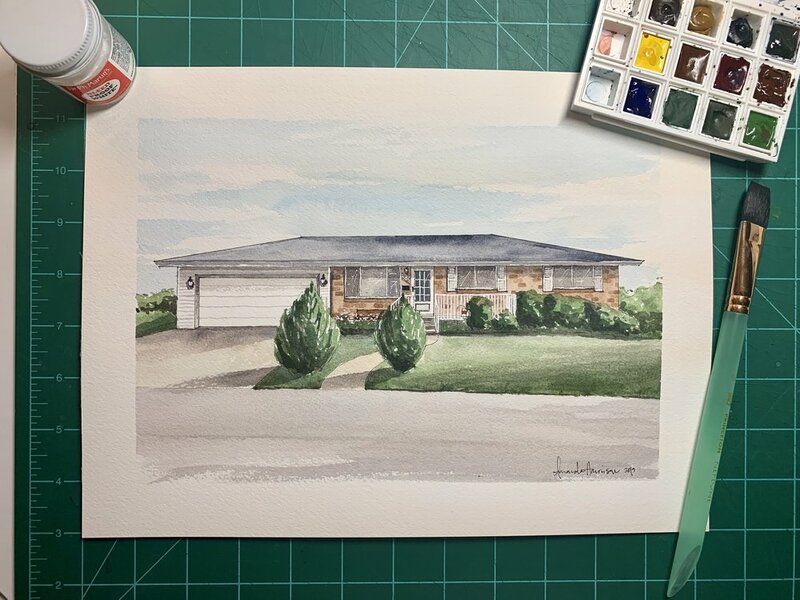 Learn more about commissioning a custom portrait of your house, a beloved childhood home, or a unique gift to someone special. Home Portraits are my passion. Your furry friend is a member of the family. So let’s get him a spot on your wall with a custom portrait. A special touch to art, invites, or custom work. Learn how to dance with paper, water, and watercolor paint.